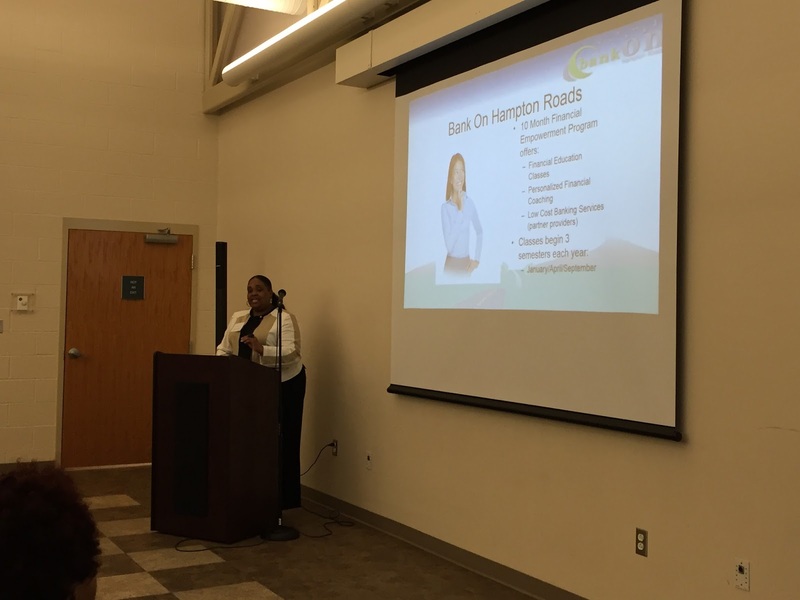 Norfolk’s first Financial Planning Day – March Money Madness – was a hit! The half day event took place at the Lambert’s Point Community Center on March 12th and was open to residents citywide. Residents met with certified financial planners to discuss their financial goals, learned about housing opportunities, how to improve their credit and how to save more money for themselves. Banks, credit unions and non-profit organizations were on hand. The Vice Mayor, Angelia Williams Graves, also kicked off her Financial Fitness Challenge at the event. 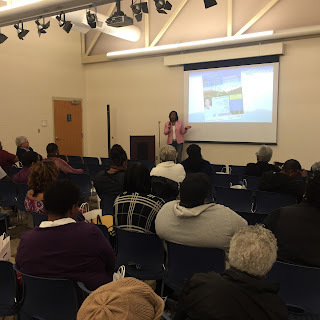 Vice Mayor Graves challenged residents to grow their financial security by: 1. Managing monthly cash flow, 2. Improving savings and 3. Building credit. To accept this challenge, residents can sign up for a Bank On class. Bank On is a free 10-month class that combines education, coaching and incentives to create lasting change for financial well-being. In order to ensure that residents have access to trusted financial information to achieve their goals and complete the challenge, classes are open to the public and are completely FREE. To recognize the achievements of those that complete the challenge, the City is offering a certificate of completion to be awarded during a special graduation ceremony at the end of each course. Individuals who complete the challenge, save $150 of their own money into an emergency account and meet all criteria, are eligible for a $150 dollar match through the program. Classes start every January, April and September. Enroll now for April classes at www.bankonhr.org.